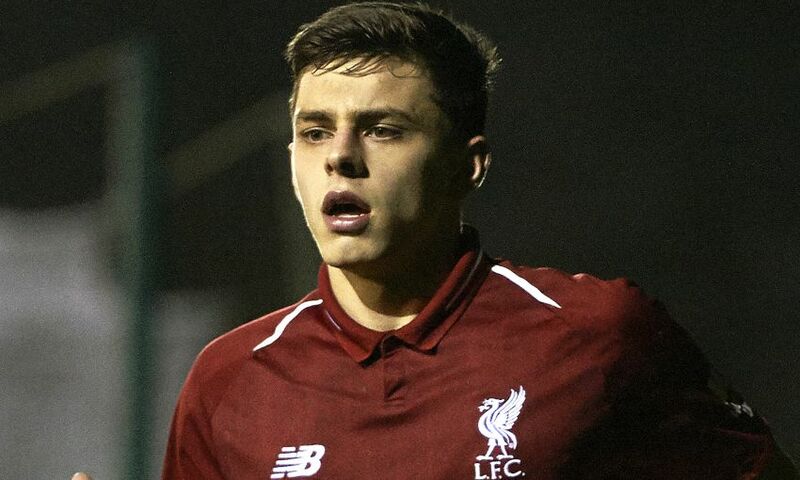 Liverpool U23s played out a goalless draw with Burnley in the group stage of the Premier League Cup at Bamber Bridge FC on Friday afternoon. The result means Neil Critchley’s side must win their final game away at Bournemouth if they are to stand a chance of qualifying for the last 16 of the competition. This was the Reds’ fourth successive draw in the tournament and although they remain bottom of Group C, a victory on the south coast could still secure one of the two qualifying spots. It was a tough, physical encounter played in a swirling, gale-force wind at the Sir Tom Finney Stadium and overall a draw was a fair result against a Burnley side managed by former England star Steve Stone. Rhys Williams and Connor Randall both went close for the Reds with headers and Caoimhin Kelleher also showed his qualities with a couple of fine stops to deny the Clarets. Critchley fielded a young side with U18s players Bobby Duncan, Abdi Sharif and Williams handed starting berths. Liverpool made a bright start and carved out a decent opening in the first minute of the game. Duncan was fouled 20 yards out, but from the resulting free-kick Adam Lewis saw his effort blocked by the wall. Two minutes later, another Lewis free-kick from the right found George Johnston at the back post. His header was initially blocked and Williams’ follow-up was brilliantly kept out by Adam Legzdins. A fine pass from Yasser Larouci then sent Sharif scampering into space down the left. The Scouse midfielder cut inside and fed a fine ball to the far stick for the lurking Duncan, who, under pressure, saw his first-time effort well held by the goalkeeper. Burnley threatened just before the half-hour mark when ex-Red Marley Blair burst past Williams but as he bore down on goal, the winger elected to shoot early and the ball bobbled harmlessly wide. Next, Sharif found himself in space down the left and drove into the penalty area, though he couldn’t pick out the well-placed Duncan in the six-yard box and the home side cleared the danger. Three minutes before the break, another dangerous delivery from the left by Lewis was scrambled away by Burnley, then straight up the other end a penetrating run from Blair saw him cut inside and fire a deflected effort narrowly off target. Blair again caused problems against his former side when he beat Randall and pulled the ball back for the unmarked Dan Agyei, who could only send his close-range attempt wide, and he then had his own strike stopped by Kelleher. The Liverpool ‘keeper had to show his qualities once more on 65 minutes when he repelled a Rob Harker effort with his legs after Liam Coyle had lost possession just outside the box. Two minutes from time, Critchley’s charges came close to a breakthrough – Randall’s header from a well-worked corner was superbly kept out by Legzdins. From the resulting corner Williams headed back across goal but the home defence cleared the ball away to safety before Glen McAuley or Duncan could pounce. Liverpool U23s: Kelleher, Randall, Juanma, R. Williams, Johnston, Coyle (Glatzel, 76), Duncan, Sharif, McAuley, Lewis, Larouci (Longstaff, 76).